We provide the best car detailing, car wash and car cleaning services in Long Beach. Our professional staff will make your ride look healthy again. Our services are very extensive as we aim to provide our clients with whatever work they need to get their vehicle's appearance back to they way it should be. We'll take care of your car's full detail needs if you're looking for a complete detailing and cleaning package. On the other hand, we also do stand-a-lone services like interior detailing, rim and tire cleaning, express mobile car washes and more. 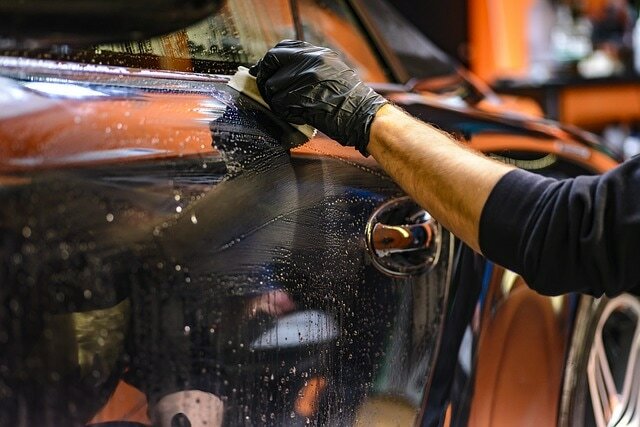 Complete Detailing Service Long Beach Special - In our full detailing cleaning package, we'll completely wash, detail, wax and clay your car to perfection while also cleaning the interior. ​Mobile Exterior Auto Detailing - We'll detail and restore your vehicle's coat to it's new car finish. Recommended for those wanting a fresh look and protection against rubble. Interior Car Cleaning Service - Our interior detailing service includes a complete cleaning and wiping of all services, fixture detailing, vacuuming and fresh-scent application. Auto Upholstery Cleaning - We can take care of upholstery stains and heavy-duty restoration as needed. Dent Removal Services - Get rid of those dents without visiting a body shop by hiring us. We can help reduce dents for your vehicle. Headlight Restoration Services - What is known to be one of the hardest areas to clean on a vehicle, we do to perfection. Rim and Tire Detailing and Cleaning - Need your rims and tires shiny again? Hire us to make your vehicle's feet brand new again. Whether if you need a full detailing job or just want a quick car wash, we're your auto detailing in Long Beach to always go to. Give us a call at (562) 242-3089 to schedule your first service and to discuss our special rates. We love to take on new on new clients and only hope to retain them with our workmanship. Feel free to use the form in place of a phone call. We'll review your request and get back to you in minutes! We'd love to give a quick shout-out to one of our supports LBC Electricians. If you're looking for awesome electrician service in Long Beach, look no further than them. Amazing work, low cost - why not? Interested in what we have to offer? Give contact us today. ​We treat our customers like family and that's surely helped us grow into the best mobile auto detailing company in Long Beach.